their working and living environments. The NOMAD Group provides lifestyle and work services to global mobile business associates through its range of integrated fully serviced residences, hotels and offices. In order to protect the modern, innovative and technologically equipped office spaces, The NOMAD offices choose NUUO surveillance software as their video management software. Readily available network infrastructure has a basic requirement to equip offices with network surveillance systems. NUUO NVR (IP+) provides a pure network PC based NVR software for NOMAD to monitor 68 dome cameras through video servers in four locations, including Menara Hap Seng, Etiqa Twins, Pavilion KL, and The Gardens. 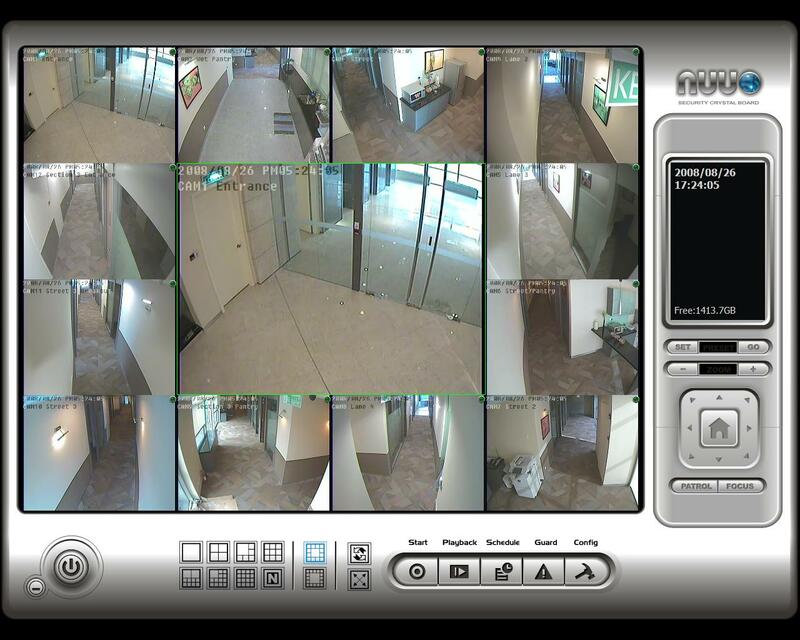 NUUO software not only monitors IP cameras but also manages analog cameras through video servers. The NOMAD Group kept its analog cameras and adopted NUUO software to integrate all its cameras. This allows NOMAD to reduce its costs, as old cameras need not be replaced. . NOMAD choose a view layout separating into 13 parts: one of which monitors vital locations such as lobbies and entrances, and, with a larger grid, allows more detailed knowledge of all activity in these places. NOMAD has set up a 24-hour motion detection recording to reduce storage but has never lost any vital information such as accidents or questionable activity. All sites keep recordings for a minimum of 30 days for investigative purposes. They also use dual monitor viewing and playback to control and monitor the situation in each office more quickly. NUUO intelligent surveillance helps NOMAD to monitor its site in the most efficient way and also to reduce costs. The NOMAD headquarters has utilized NUUO surveillance software to monitor four offices in different buildings. NUUO remote live viewers provide users with monitor cameras throughout the network. A remote live viewer can monitor up to 128 channels from unlimited servers. “Simple and easy to use” stated the system integrator security personnel. Security personnel in NOMAD headquarters can use NUUO remote live viewer to monitor four offices easily and centrally: This helps NOMAD reduce personnel and control the situation in each site. This excellent surveillance system not only helps NOMAD monitor safety in the four separate offices but also improves central management control, service, and security throughout its offices in the Etiqa Twin Towers.